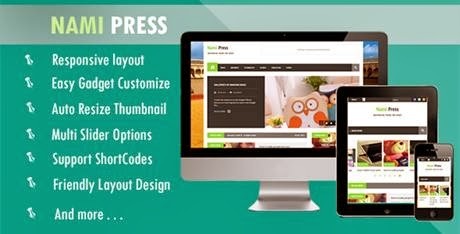 Download Nami Press Themeforest Blogger Template - Nami Press is a news and Magazine Blogger Template. It is responsive and drag-drop to build your own home design. Its High User Friendly Blogger Template. It allows you to customize and display the exactly what you want by short-codes very quick and easy.